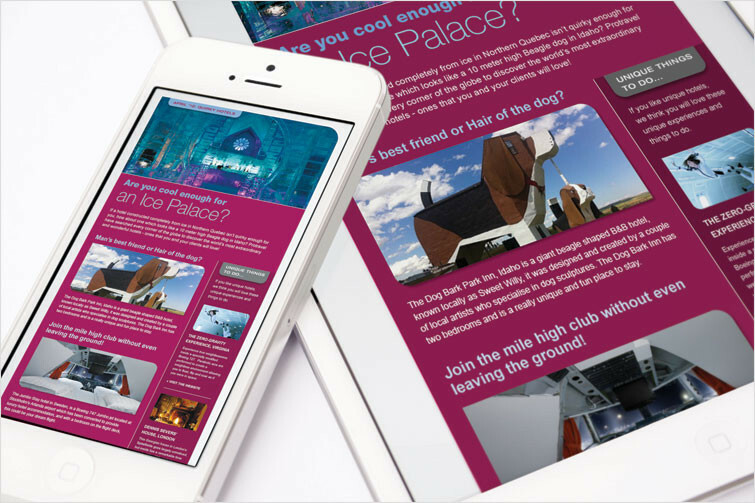 Travisbead provide graphic design and web design consultancy to businesses in Milton Keynes and further afield. We are motivated by great design that solves business objectives and builds great brands. Protravel are the promotional travel experts division of P&MM one of the largest marketing service agency in the UK. They specialize in developing unique travel prizes, incentives and experience days to promote corporate brands, motivate staff and retain loyalty. Protravel wanted to reinstate their position at market leaders and be known for the ‘out there’ unique range of travel promotion incentives. They needed a fresh approach to attract new clients. TravisBead worked alongside HLB Creative to create a series of html email campaigns to reinvigorate their messaging and open conversations with new customers. The aim was to show that Protravel could offer anything from a city break to a five star safari, or something completely innovative and off the wall. We built on their strong branding to create a template that was visually striking and would be recognisable theirs, when it arrived each month. 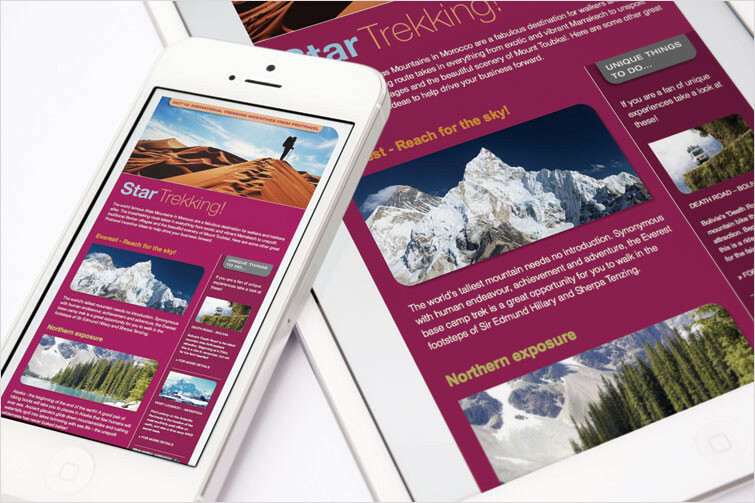 The new look e-shots were well received by their recipients and created a ‘buzz’ about the Protravel brand. Open and Click Through rates steadily increased over the course of the campaign. 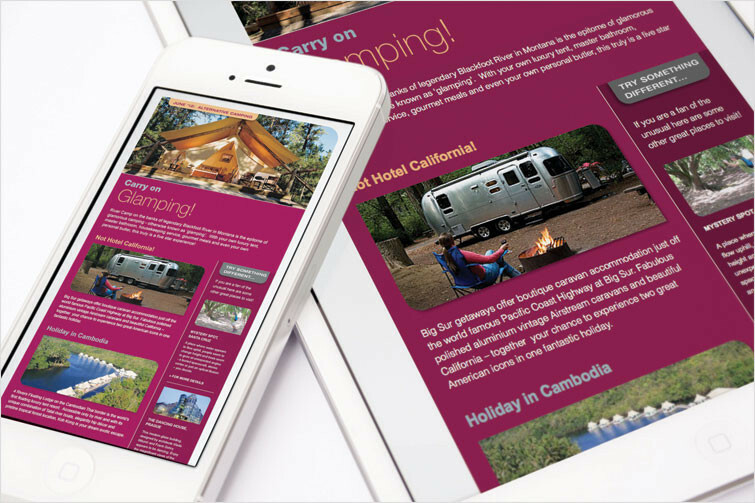 The CEO of the group commented that one e-shot in particular was the best piece of marketing communication Protravel had sent out for years and three very substantial pieces of business could be directly attributed to this e-marketing campaign. 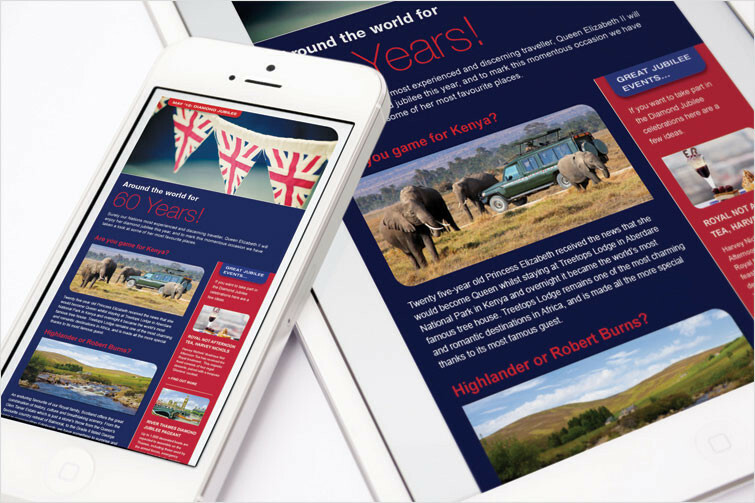 The CEO of the group commented that one e-shot in particular was the best piece of marketing communication Protravel had sent out for years and three very substantial pieces of business could be directly attributed to this e-marketing campaign.